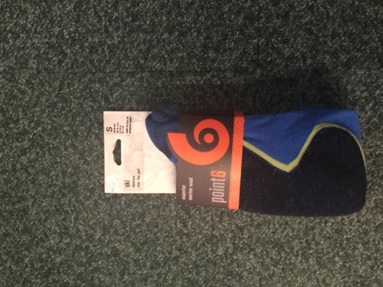 Superb fitting sock that will last the time. Maximize evaporation while accelerating dry time for unmatched comfort and performance with these ski socks from Point6 with 37.5 Technology. 37.5 active particles supercharge wool's natural abilities by attracting moisture while still in vapor form, before it becomes a sweat droplet. Stay drier longer and increase athletic output with our SKI Medium OTC, with cushioning that surrounds the entire foot and leg. It's Medium thickness adds volume and warmth, great on those cold ski days!